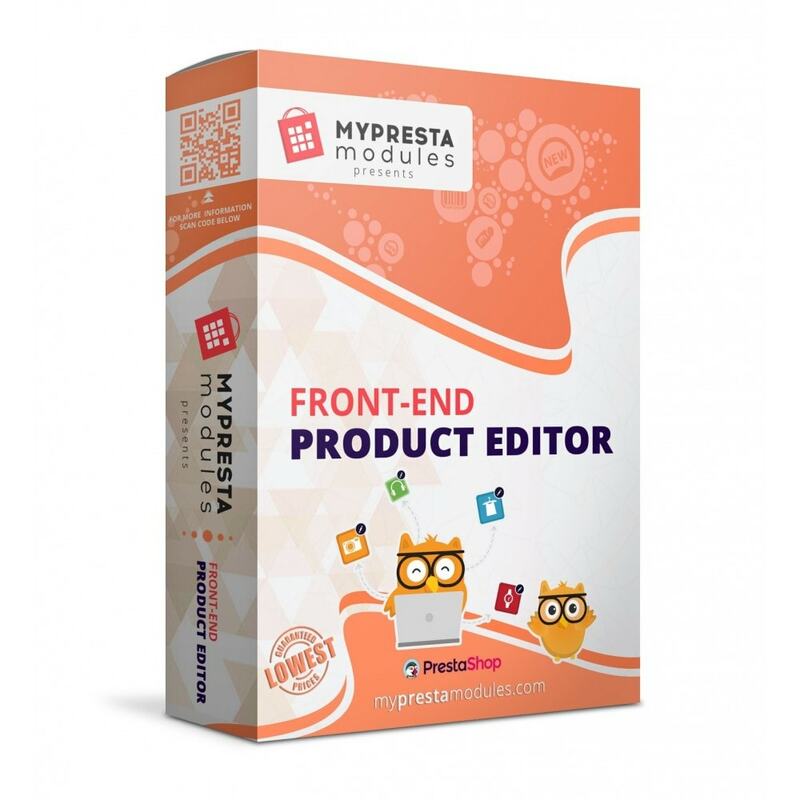 The best & ultimate visual product editor for PrestaShop. 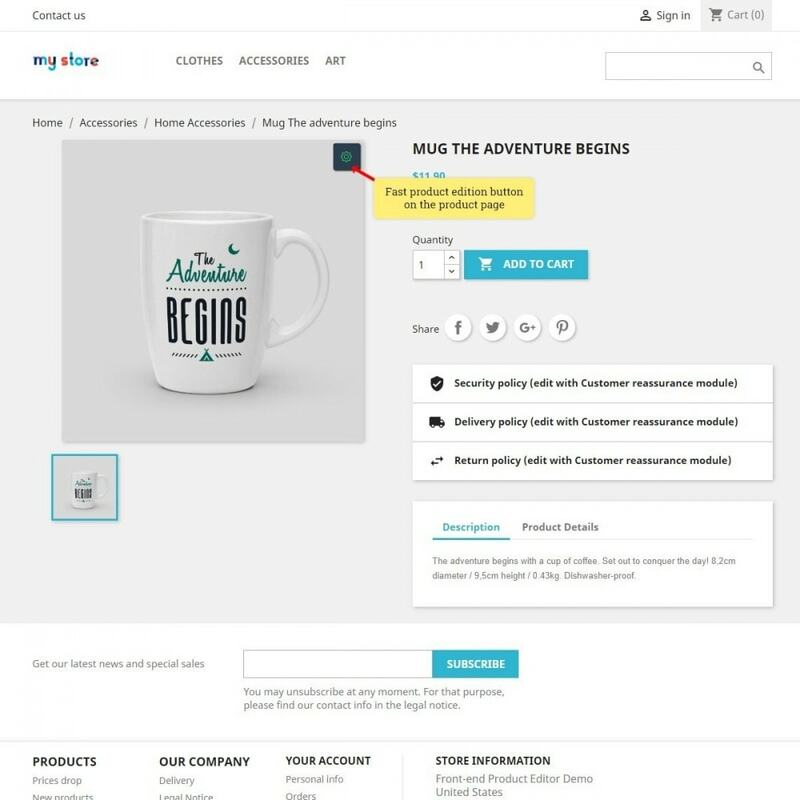 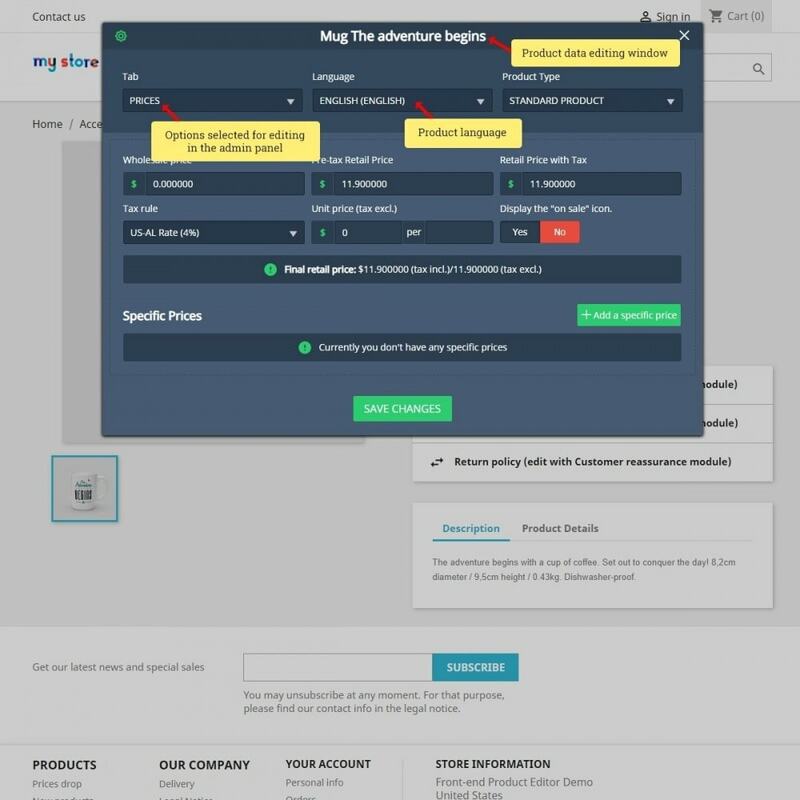 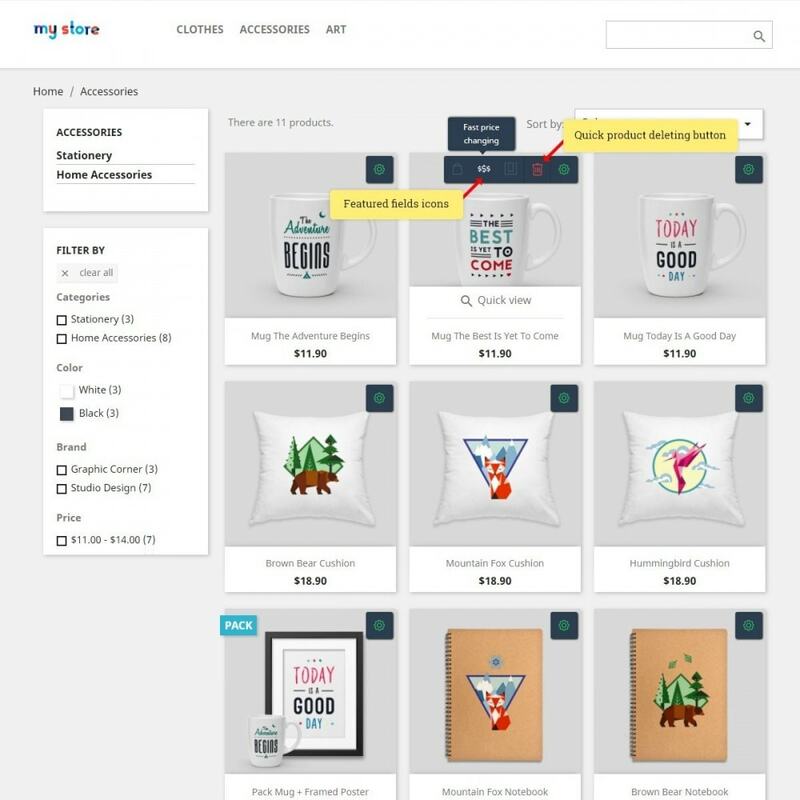 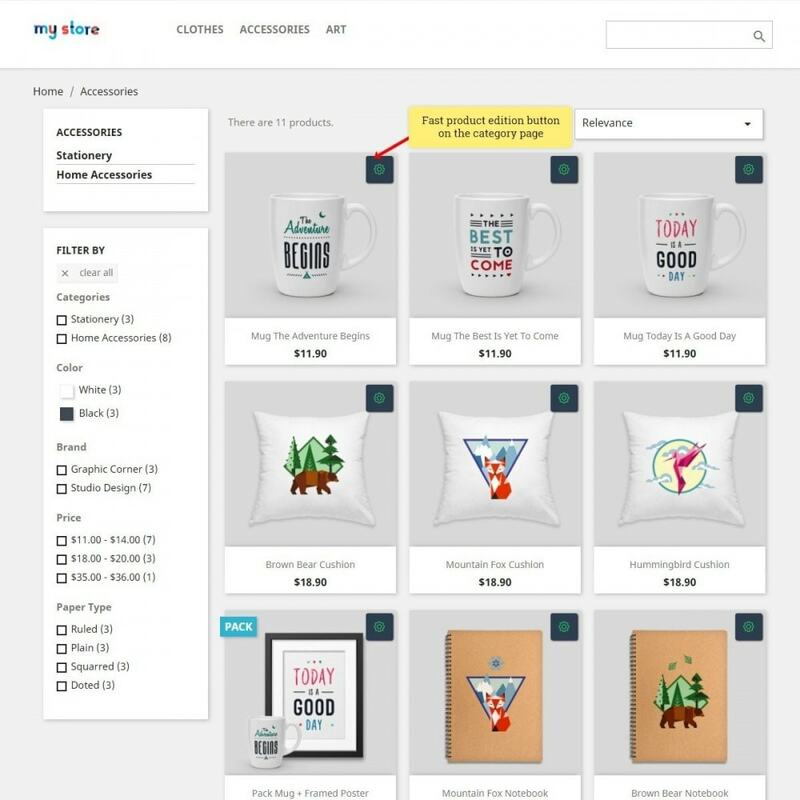 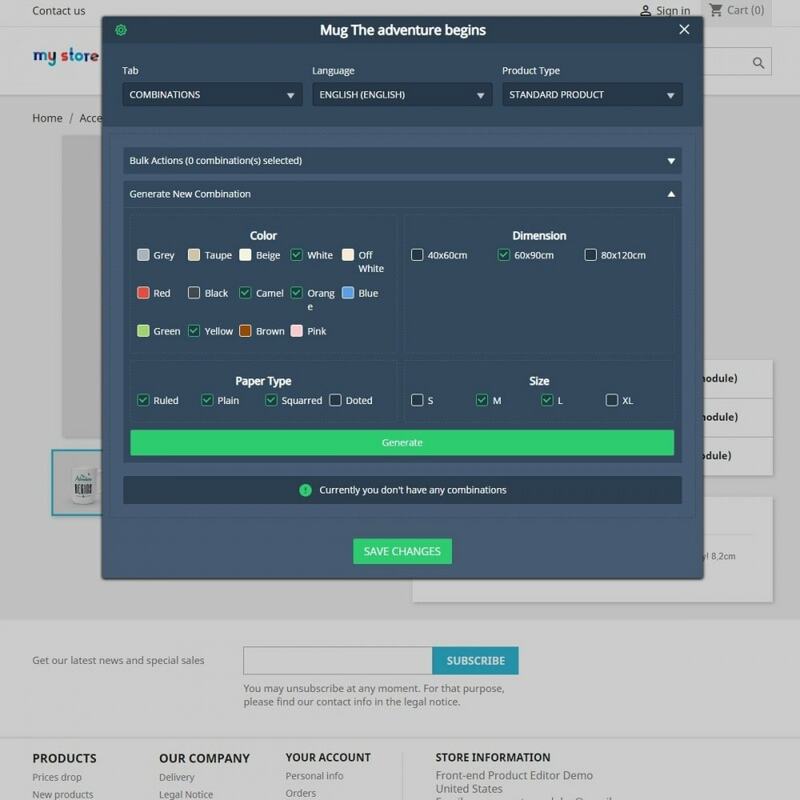 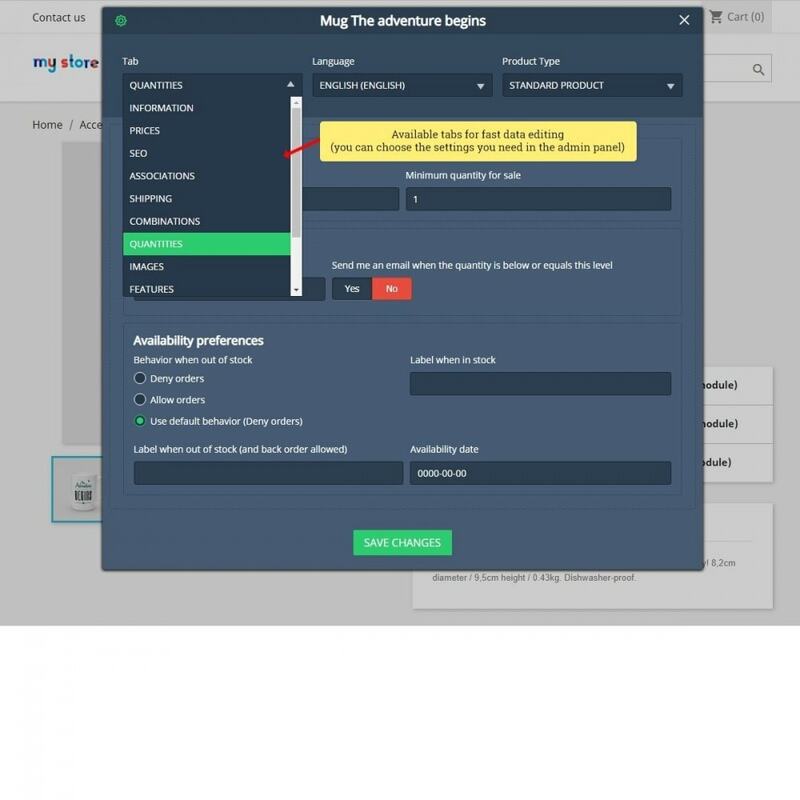 With this module, you can easily change product data directly on the product page or on the category page without logging to the admin panel of your store. 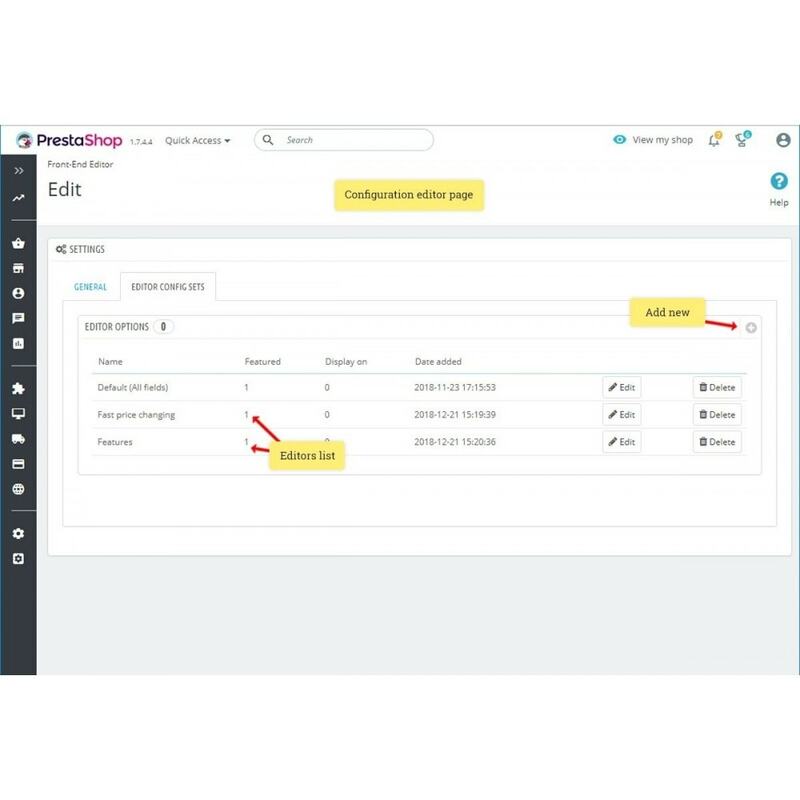 The functionality of editing products in the PrestaShop platform is limited by the standard editor, which you have in the admin panel. 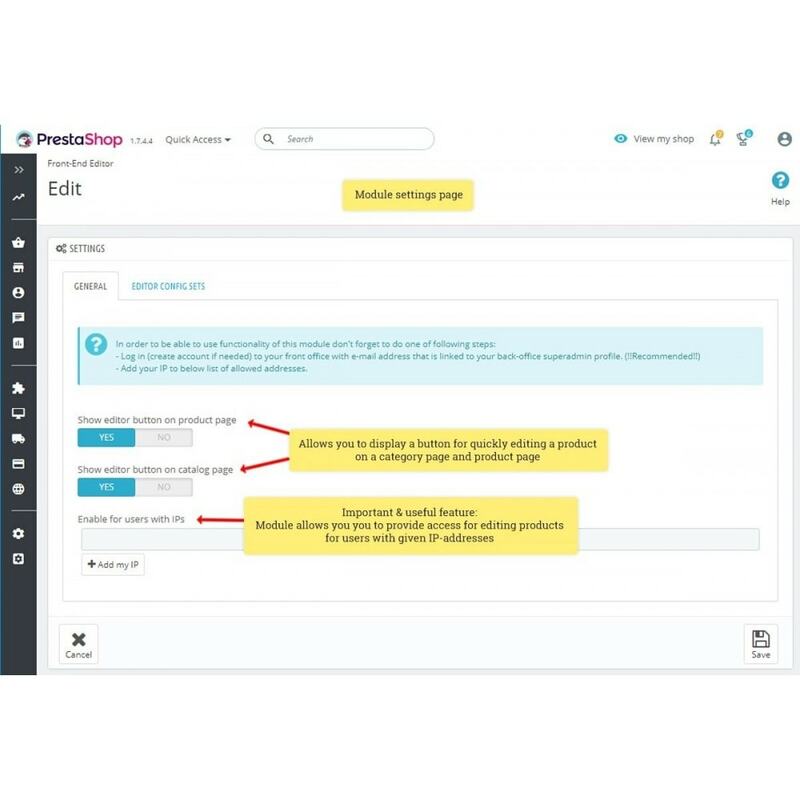 The question itself was how to expand the capabilities of the standard PrestaShop product editor. 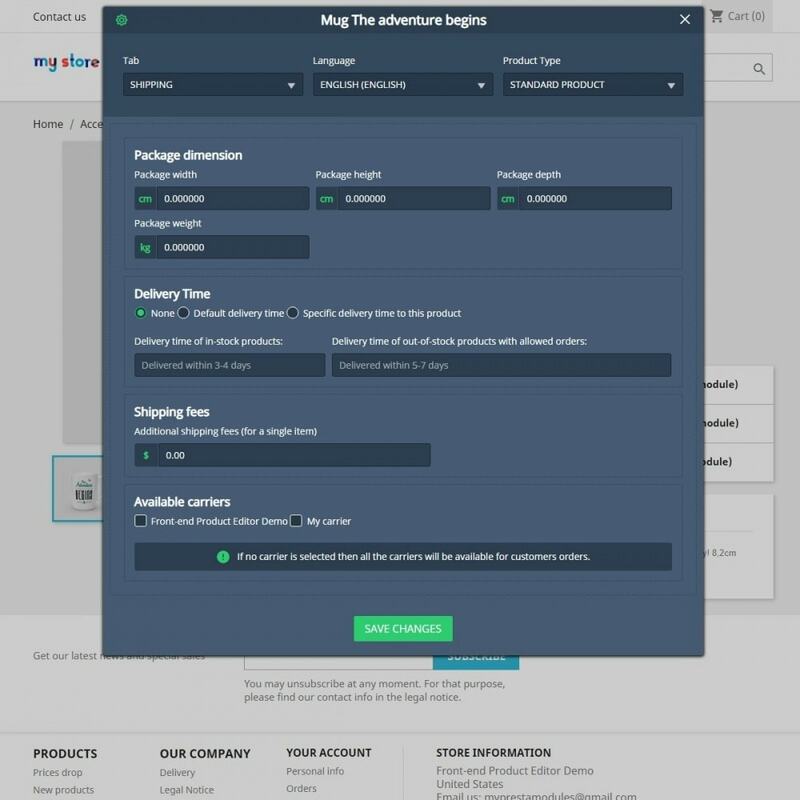 Using our module you save time to quickly edit product data, prices, photos and more. 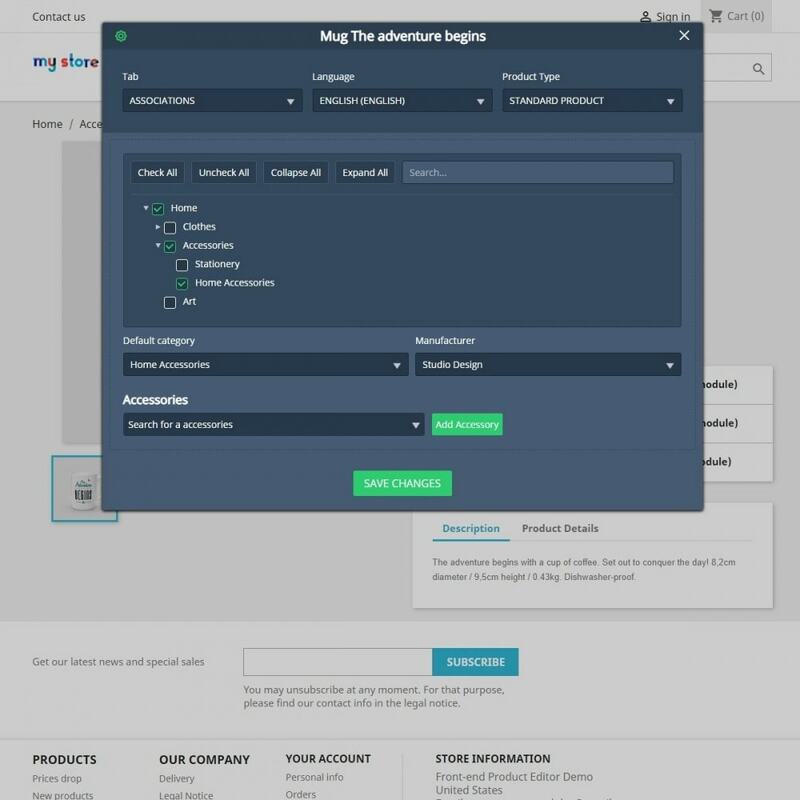 It is possible for you to set up quick access to the product data you want to change - just select the features you want to see and save the settings. 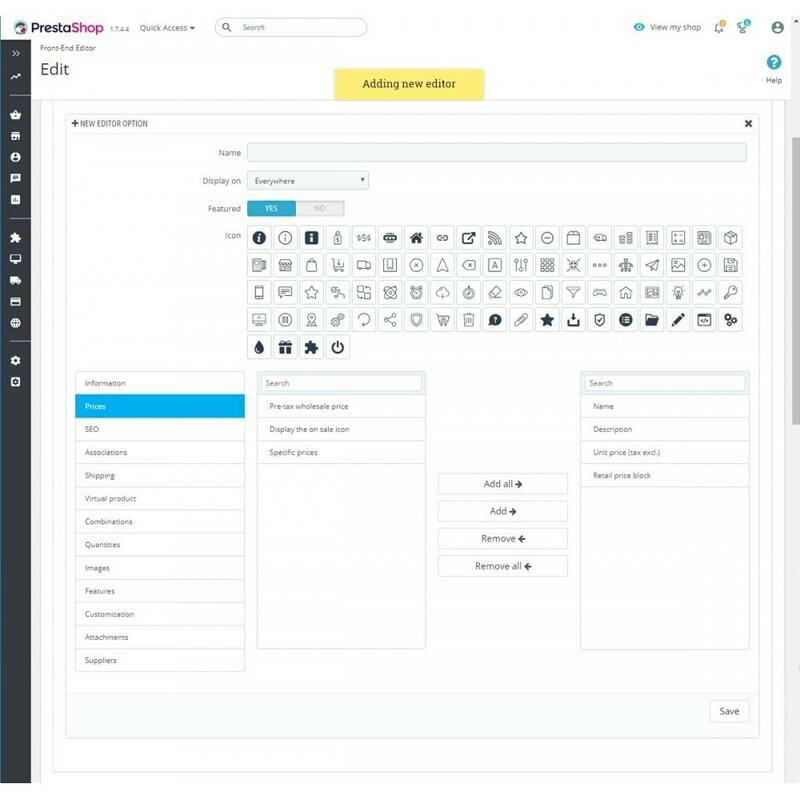 The module can be customized individually (for example you can add the only price and stock data) or you can use default edition settings-means include all fields are available in PrestaShop product editor (such as information, price, SEO, features etc).